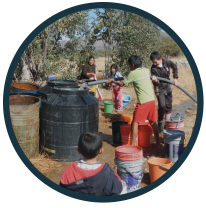 Join Engineers in Action for the annual 36-hour #CleanWaterFast October 4-6, 2018, benefiting families in rural South America. 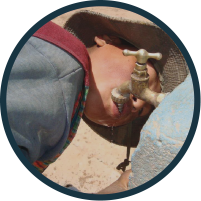 The #CleanWaterFast is a fundraising challenge where fasters pledge to consume only water for 36 hours, rallying their friends and family to support their efforts by donating to their personal #CleanWaterFast webpage, provided by EIA. Show your support for those who often face similar adversity in their everyday lives and grow your appreciation for a precious resource we often take for granted: water. Sign up today for the 2018 #CleanWaterFast! 36 hours of fasting in unison with EIA staff and supporters October 4th, 7 p.m. – October 6th, 7 a.m. Participation is easy! Get started now by setting up your own online donation page, then ask your friends, family and colleagues to sponsor you using the handy resources below. Email Ask Template – This is a sample email or letter that you can send to friends, family and others to ask for support and direct them to your personal donation website. Social Media Content – Suggested posts, timeline and tactics to help your campaign gain awareness on social media channels, especially Facebook. Group Challenge Info – Ideas for engaging a group of friends, coworkers or peers in the annual fast. EIA Brochure – Share this or our website to familiarize your supporters with Engineers in Action. Advice for Fasters – First time fasting? Here’s some helpful info. Sample Sign Up Sheet – This form can be used to track commitments and donations received directly and for those who would rather fundraise in person instead of online.